IMCDb.org: 1984 Zastava 128 in "Stižu dolari, 2004-2006"
This is grille of Zastava used since 1988/89. Pity nothing more of bumper and doors aren't vsible - to confirm 1989 or say can it be even a later one. 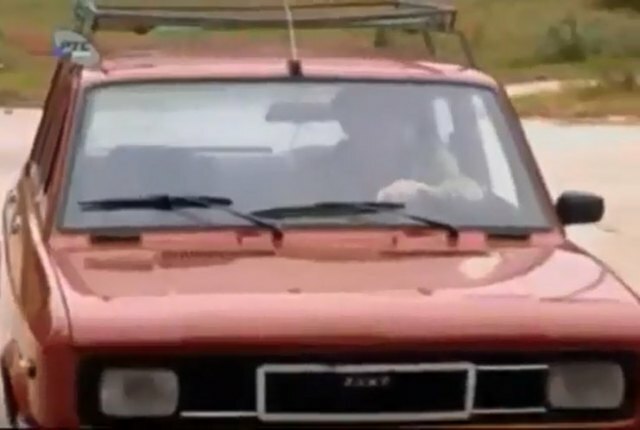 It is Fiat, not Zastava. Just look at the logo. Can be not original. This color was very common on Zastavas. 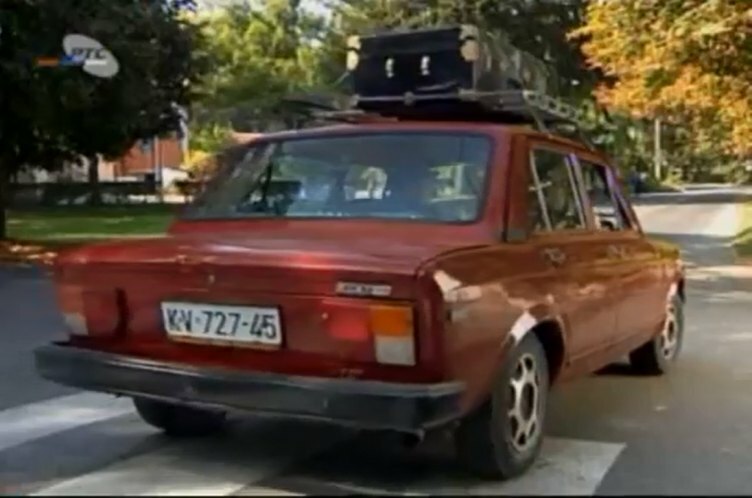 The car generally has parts mixed from different years. Grille doesn't fit to doors. EDIT. Lower side strips might be original, they were used since around 1984. Fiat 128 didn't have such side strips in this place.